Children are a blessing from God, although you might not always put them in that category especially if they are two year olds or teen agers. One the things that I failed to grasp as a parent was that essentially my children were on “loan” to me for a season. My responsibility was to prepare them to be ambassadors for God, to use the experiences of life as a learning laboratory in which I could impart Christian values. 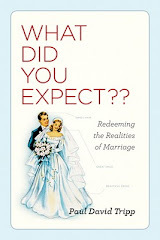 The following comes from Mort Fertel’s blog “The Marriage Counseling Blog”. Although the emphasis on the spiritual is lacking I think he provides some good counsel. “When a couple disagrees on parenting issues, it can create a variety of problems. Perhaps your spouse wants to make sure the kids are happy all the time. And your goal is to make sure they are responsible, not happy. This can wreak havoc on a marriage. Ideally, it would have been great to have ironed all this out prior to having kids. However, many people think they will parent in one fashion, but then when the time comes everything they thought they knew went out the window. They then parent much differently than they would have predicted. Try to focus on the big picture when it comes to your children. Discuss your hopes and dreams for them and also discuss your definition of success. When they graduate high school, do you want your child to be able to say “I had a lot of fun in my childhood,” or do you want them to be well prepared for college? Some people want a self-sufficient child who has been able to work part time during high school and who can save their money and move out. Other parents want a child who has been able to spend a lot of time with friends and playing sports without the stress of work. Why Can Marriage Hurt So Much?